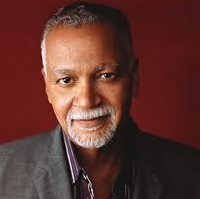 Carol Handley talks with Joe Sample in 2010 while on the road about his childhood in Houston, playing electric keyboards, a couple of favorite projects including a musical he worked on over 20 years time. Carol Handley shares conversation with the late composer and keyboardist Joe Sample. Carol caught up with the artist while he was on a solo tour before his dates at Jazz Alley in Seattle in 2010. Joseph Sample was born on Feb. 1, 1939, in Houston, the fourth of five siblings, and began playing piano when he was 5. Sample died in 2014 of mesothelioma at the age of 75. The keyboardist and composer came to prominence with The Jazz Crusaders in the 60’s who became The Crusaders in the 70’s. In this conversation, Joe talks about the move to electic keyboards, a couple of specific albums, and a project that had been keeping him busy for almost 20 years. The Jazz Crusaders, played hard bop and formed in Houston, where Sample, tenor saxophonist Wilton Felder and the drummer Stix Hooper began performing together as the Swingsters while in high school. The band rehearsed in Felder’s mothers livingroom. Joe met trombonist Wayne Henderson at Texas Southern University and added him, bassist Henry Wilson and flutist Hubert Laws to the group, which changed its name to the Modern Jazz Sextet. In the early 1970s, the band changed it’s name again to The Crusaders. The band morphed with the times and changed from a hard bop group to a funk/jazz one. adding electric guitar and bass, with Joe playing mostly electric keyboards. The most well-known song with The Crusaders was a Top 40 single, “Street Life,” which reached No. 36 on the Billboard pop chart in 1979, sung by Randy Crawford with the music written by Sample and the lyrics by Joe Will Jennings. By the late 1980s Joe was focusing on his solo career, which had begun with the 1969 trio album “Fancy Dance” and included mellow pop-jazz records like “Carmel” (1979). His last album, “Children of the Sun,” was released after his death. In recent years, he worked with a reunited version of the Crusaders, led the Creole Joe Band, a Louisiana style zydeco band and collaborated with Jonatha Brooke and Marc Mantell on a musical, “Quadroon,” which had a reading in July at the Ensemble Theater in Houston. Listen to the Joe Sample podcast below.